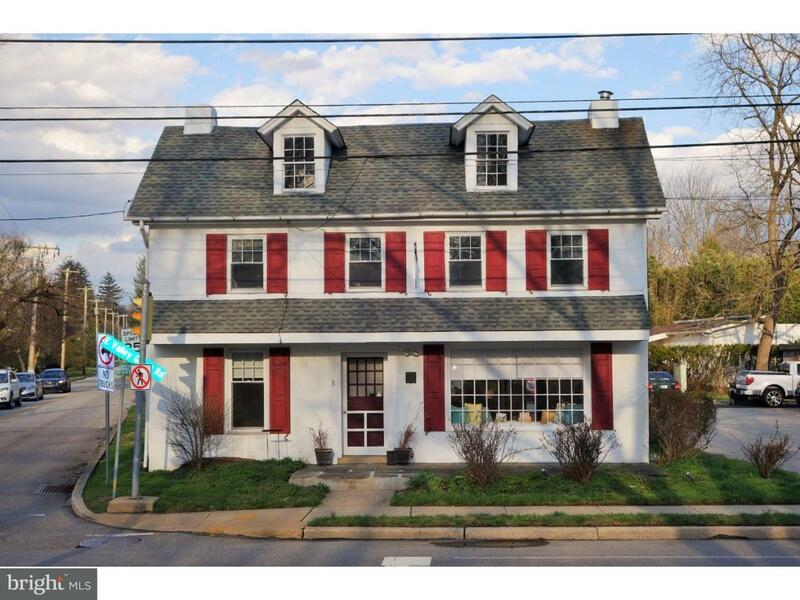 This corner office building is located in desirable Flourtown just minutes outside of the Philadelphia border. This is the perfect opportunity for your growing business. We can tailor the configuration of office spaces depending on your business' needs. You can chose one office or up to 6 office spaces. If you are looking to move your office out of your home for more privacy or out of the city for tax savings this could be the perfect match. Single rooms vary from $450 -$1000 or multiple offices up to $2000. Parking is available with access from both Bethlehem Pike and E. Valley Green Rd. The first floor office is 210 sqft. The office has access to a main floor shared restroom and easy access to the second floor offices and restroom. The second floor can accommodate a configuration of 1- 5 various sized offices for rent. Rent includes water, unsecured Wi-Fi, heating, electric and exterior building maintenance. Tenants are responsible for window unit air conditioning and signage (signage is limited). Landlord is responsible for snow removal, trash removal, common area and bathroom cleaning. The first floor office is 210 sqft. Second Floor office measurements are as follows: Office 1: 91 sqft, Office 2: 100 sqft, Office 3: 83 sqft, Office 4: 117 sqft and Office 5: 100 sqft.